Ronald Eugene Allen was born January 21, 1964 in Union County, North Carolina too Julia Allen McDonald and the late Harold Reape, and the late James Robert McDonald. He departed this life earthly life on February 24, 2019 at his home. Ronald joined Antioch Missionary Baptist Church on October 8, 2017 until his death. He attended Monroe High and Sun Valley High in Monroe, North Carolina. Ronald was an outstanding track runner at Sun Valley and football player at Monroe High School. Ronald lived in Brooklyn, New York for ten plus years and returned to Union County. 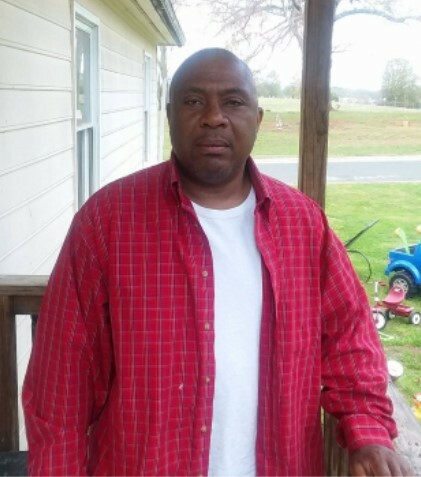 He worked at Edward Wood Products and worked part time at Wingate University. Ronald will be greatly missed by all who knew him. He leaves to cherish fond memories to his two daughters: Aneesha Allen and Bianca Allen of New York; mother: Mrs. Julia Allen McDonald (James deceased) of Marshville, North Carolina; brothers: James Daryl McDonald of Charlotte, North Carolina, Tyrone McDonald of Detroit, Michigan, Robert Earl Youngblood and Harold Rorie both of Charlotte, North Carolina; sisters: Cheryl McDonald of Marshville, North Carolina, Ida (Nikki) McDonald of Marshville, North Carolina and Carol Rorie of Charlotte, North Carolina and a host of nieces, nephews, cousins other relatives and friends.